We have all been in this situation, the customer is so angry that they are practically spiting fire. Most of us have been left clueless as to what to do and some of us have contributed to the fire. Here are 10 ways to deal with a customer who is angry with your moving services. 1. Know that the customer probably has a reason to be angry – Mistakes are never done on purpose, but they do happen. 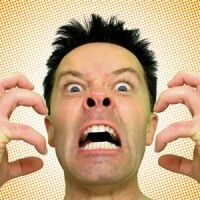 If you are working as a sales representative, or as a mover, you are going to experience an angry customer. Take into consideration that the customer may be angry because of a previous moving experience, previous interactions with your company, or that the problem happened during an emotional time in their life. No matter what the circumstance is, you need to acknowledge that the customer has the right to be angry. Listen with intent as to how the anger is expressed and try to get to the bottom of it. 2. Listen to the emotion without your emotion – Identify the root of the emotion by listening to the emotions and inflections that the customer puts on the specific topics. Listen to the emotions in the words. This will help you identify which of the problems to take care of first. Keep in mind that it is not always possible to completely resolve an issue or complaint, but you do need to acknowledge it. Never respond back with emotion. More than likely, the anger that the customer is having is not directed at you but at an event that took place, or an accident that happened. If the customer is angry and using profanity, they are simply looking for acknowledgement and a response to the distraught emotion, even if it is abusive. If this takes place, it is in your best interest to continually acknowledge the emotion as well as the issue, this will help diffuse the problem and calm them down. 3. Always be patient – When the customer is at his or her angriest, be patient and listen. It is not in your best interest to ever interrupt a customer whether they’re sad, angry or confused. Wait for them to become less emotional, and then you will have room to speak with reassuring comments. Restate your compassion for the problem and your understanding, if you want to be heard, wait for silence. Take deep breathes, quietly, and be patient. 4. Never speak loudly – If you have a loud and assertive customer who is angry, keep a soft and steady tone. If you try to speak louder than the customer, this will only make things worse, the reason for this is that the customer will listen to the tone and not the message. Silence is golden in these situations, simply wait until the customer has finished their tirade and then speak. If your voice is soft, the customer will eventually have to calm down to hear what you are saying. 5. Reiterate – Make sure that you address the problem at hand as well as the customers emotions and concerns. After you have listened to the customer with intent, reiterate them by voicing the problem at hand and acknowledging the emotion. The customer at this point will feel a slight sense of calm, as they trust now that you have discerned what is angering them. 6. Take the blame – Even if the problem was not made by you, you must own it anyways. Tell the customer that you are in charge and have overseen the problem and haven taken responsibility. It will be tempting to blame the problem on an event or another individual besides yourself, but that is never a good idea. Blaming another department, person or event will make the customer feel adrift and powerless in the situation, which could lead them to be even angrier. Call your manager, or the department that can solve the problem, and get them to directly contact the customer. Taking this step will help reassure the customer that their problem is serious and that you want to help take care of it. 7. Make the customer your priority and the problem secondary – When dealing with an angry customer, you will have to deal with 2 problems at once, the emotion and the problem. Logically it seems that the problem should be accessed and dealt with first, but it is more important to help the customer calm down. Sometimes the problem will take hours, days or even weeks to fix, so you need to make sure the customer’s emotion towards you is not stagnant before you deal with the problem at hand. 8. Dig deep into the root of the problem – Figure out why the problem took place to begin with. Try to analyze it to the best of your abilities, and at times, it may be necessary to speak with the customer about the problem in order get a better analogy. First, the customer has to be consoled. 9. Correct the problem – Sometimes, especially with damages, it is impossible to correct the problem immediately. Try contacting your manager, or having the customer fill out a damage report, but make sure that they get a copy. If a deductible is on the move, keep in mind that no matter how much it is (whether it be 100, 500, 1000 dollars) that when the item was damaged, the customer has to pay for it. Notify the customer how you intend to fix the problem and how you learned from it. 10. Follow Up – If the problem has been completely resolved, try to follow up with the customer after some time has passed. A simply phone call or email will demonstrate that you truly care about how they think and feel about your employees or company, in fact you may even be able to make a loyal and repeat customer out of them. Demonstrate compassion, caring and positive attitude, and do everything to the best of your abilities to reconcile the issue at hand and to calm the customer down. There are different kinds of customers and it’s common to encounter people can sometimes get into our nerves. That’s why it is so much important to learn and know how to deal with angry customers. I really thank you for sharing this kind of information to everyone. Thanks for this post.